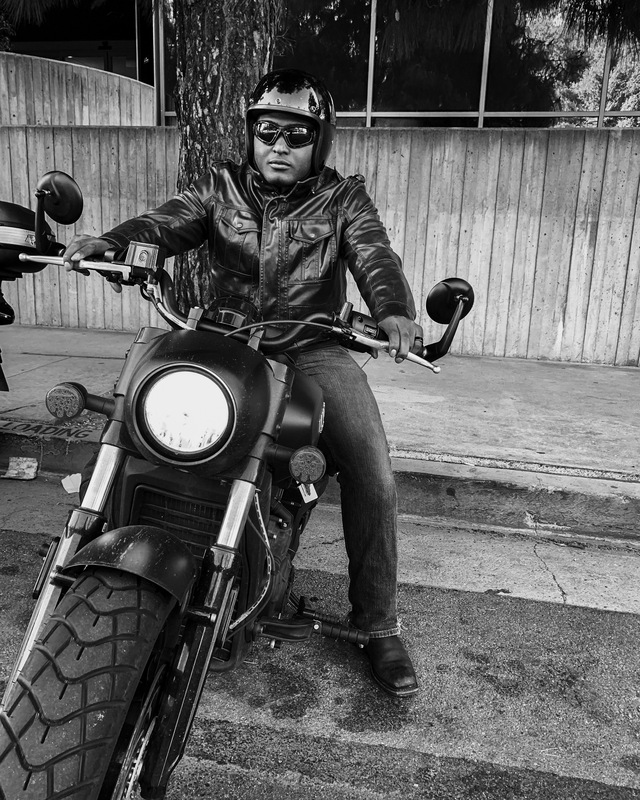 In part three of my interview with Vincent we talk a little about the Indian vs Harley rivalry, and the biggest lesson he’s learned on these LA streets. So, let’s jump in and find out what Vincent has to say about these things. T: Okay, let’s get back on track. Would you say the bike you have is your dream bike? V: Yes, absolutely. I saw it and instantly loved it. Definitely wanted to get it. T: So, you’re set. Do you think you’ll ever change bikes? V: No. If they put out a new model in a couple years, maybe. I was talking to a salesman at my dealership and he said, “because you bought this bike, if another one comes out you can get a deal and upgrade.” So, if I see a better model in the future I’ll consider it. T: Oh, okay. So, you’re going to be an Indian guy? V: Yeah, I’m definitely going be an Indian guy. My friends with Harleys do make fun of me. V: It’s the whole back and forth. T: What’s the biggest lesson you’ve learned driving in LA? V: For one, always keep my finger on the horn. It seems like I’m constantly having to watch my right. Whenever I’m on the freeway there’s frequently a car trying to merge over into my lane. They love coming close on that one. Just watch my surroundings is probably the biggest lesson. T: Have you tried ways to get the attention of drivers? V: If it’s super close my finger is always on the horn. Most of the time they’ll see me, but it still happens too often that someone doesn’t see me and they’ll try to get over. People drive crazy out here, not like the small town I’m from. For someone who’s getting used to L.A. traffic, I will say Vincent maintains a sunny disposition. Please make sure to check back for the next part of this interview.